The holidays can be a stressful time of year for many people. Theres lots of rushing around and, let’s be honest, it get’s pretty expensive! 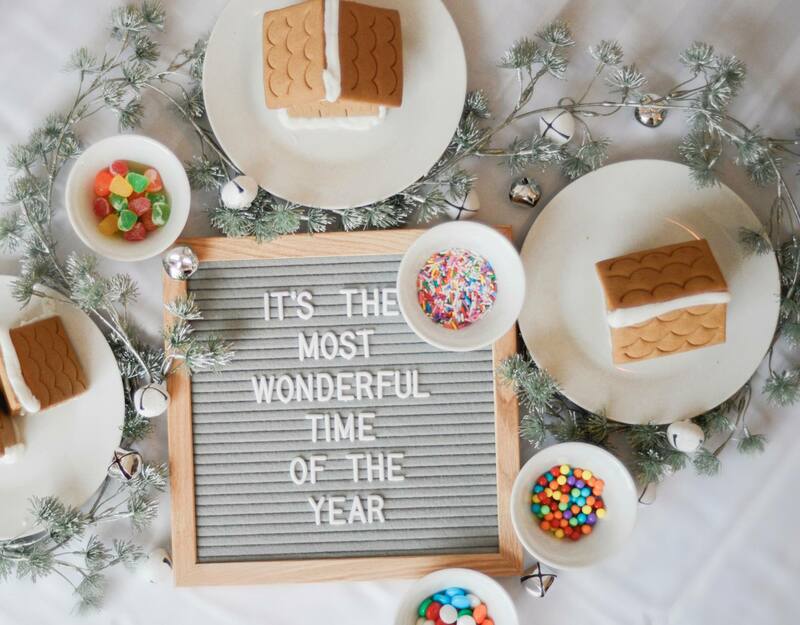 If you enjoy entertaining but need to stick to a budget you can throw a fun party with less than $100 thanks to some fabulous finds at Giant Tiger. They have a great selection of games and activities for kids and a wide variety of grocery items at an affordable price. 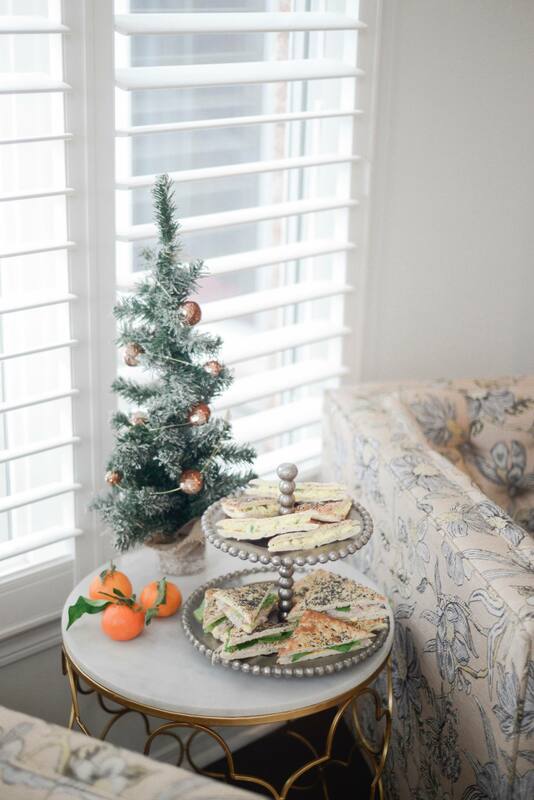 This year we decided to throw our holiday party with friends in the afternoon. 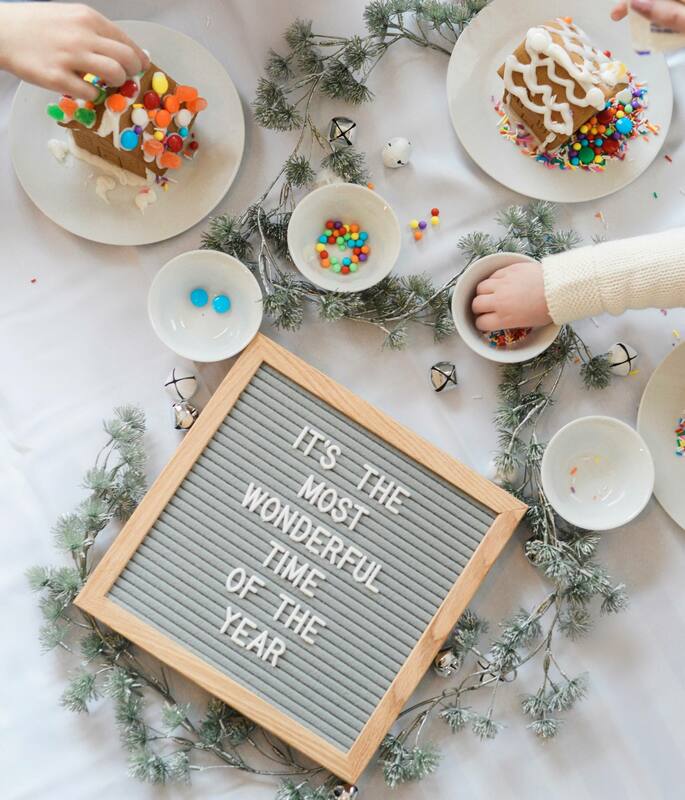 A mid-day celebration is the perfect time to get together when everyone has kids, am I right?! It also allows you to stay on budget because you’re serving light bites as apposed to a big fancy dinner. 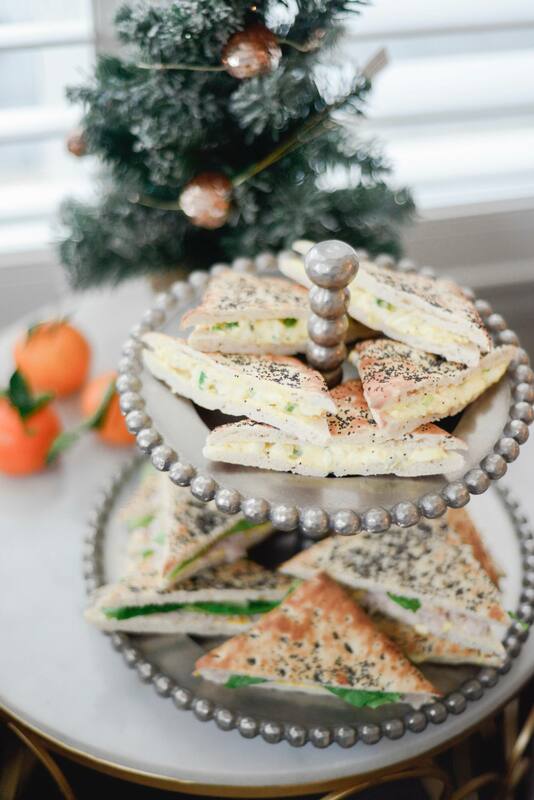 We used these tasty flat bread sandwich pieces we found at Giant Tiger to make delicious turkey and egg salad sandwiches that are easy for people to snack on. We like to place light bites on different tables throughout the space so that there are a variety of options around the room. When you’re hosting families its always a good idea to have an activity on hand to keep the little ones entertained. 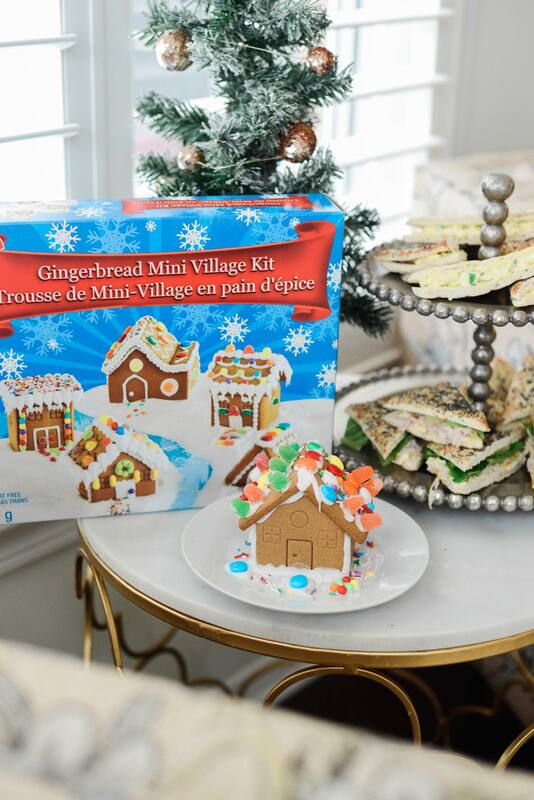 We found these adorable mini gingerbread house kits at Giant Tiger and the kids just loved them! 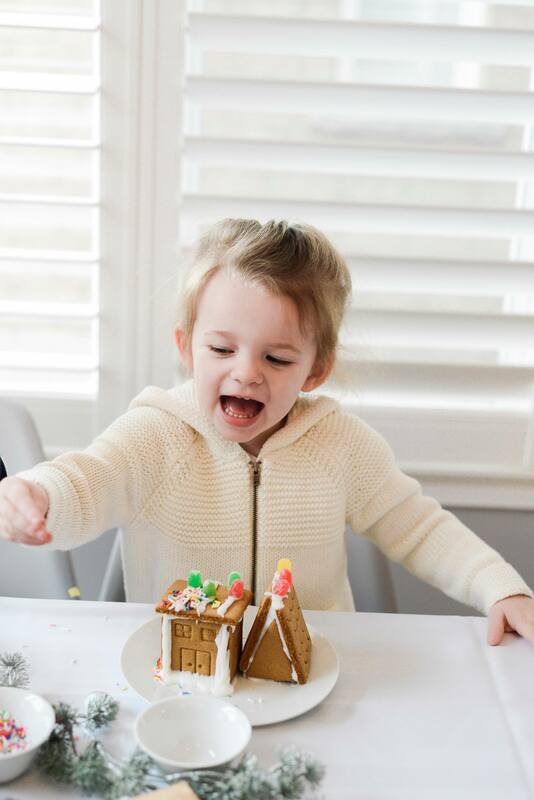 They really enjoyed putting their mini house together and took their time decorating their little masterpiece. It keeps the kiddos busy for a good 45 minutes and each set only cost $9.99 for 4 mini houses. Such a great deal and they were definitely the hit of the party. 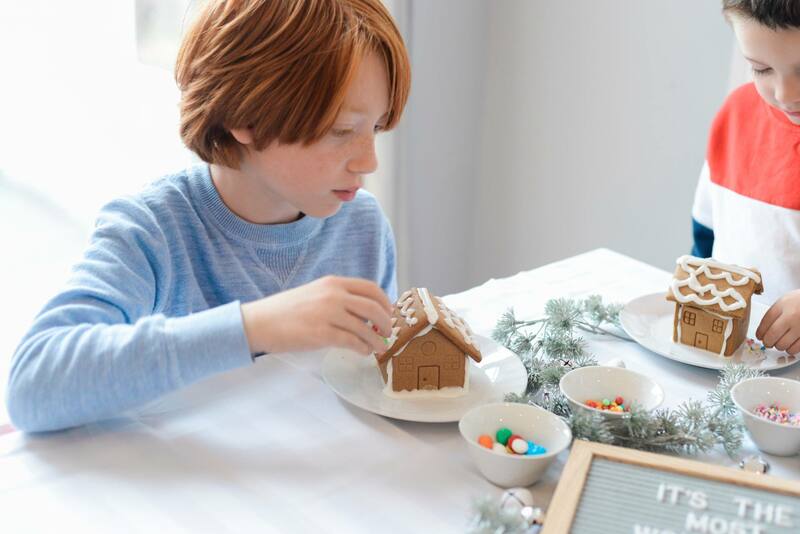 We were able to make all of the light bites and get the 2 sets of gingerbread houses for just under $100 from Giant Tiger! They have a great selection and you don’t need to break the bank to enjoy the holidays this year. Who’s ready to throw their own party on a budget? Giant Tiger and I are giving YOU the chance to win a $100 so that you can create your own bash on a budget! Entering is easy! Just Subscribe to my mailing list (found on the right side of my home page) and then comment below who you’d invite to your get together. Winner announced Friday Dec 15 2017. Good luck! This post was sponsored by Giant Tiger however all thoughts and opinions are my own. I would invite my daughter’s friends! I would invite my parents and cousins to my get together! We love gathering! I would invite my sister and mom to my bash on a budget! Always love having them over and it would be such fun! Thanks so much for the chance! 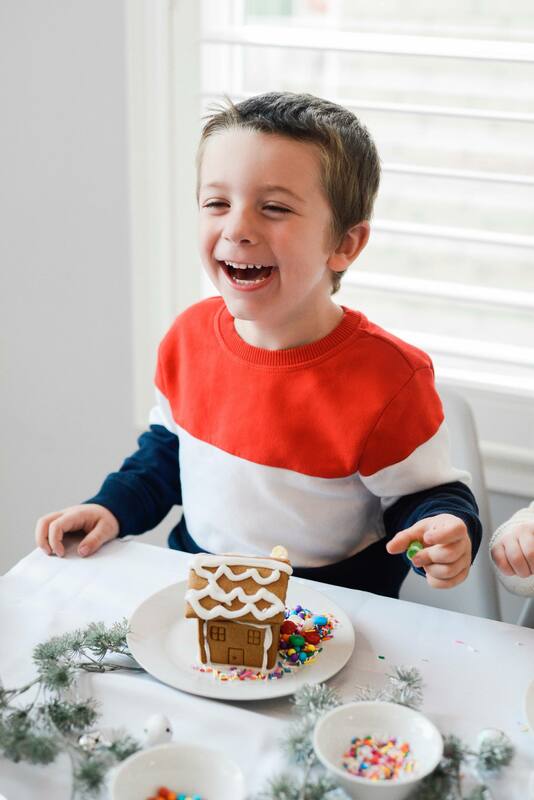 I’d invite my kids’ friends for a small party — yours looks like so much fun, and I care far less about the house being messy when all of the guests are under 10 ha ha. Im home for the holidays and would love to use this for a party with the fam! I would invite my friends to a get together. I would invite my kids and grandkids. I would invite my family and friends to my get together! I would invite my family! I love giant tiger, they always have such great prices. I would invite my relatives. LOVE GIANT TIGER! i’d share with my family who’s coming for Christmas supper! My husband and I are hosting New Years for our friends and their kids. I would invite my grandkids. I would invite my mom, brothers and their wives/girlfriend. I would invite my best friend and her 2 kids! I’d invite the girls in my quartet to a drinkie/appetizer party. I would invite my whole family, those who live nearby anyway! I would invite my friends! I’d invite my dad! He lives in Saskatchewan and I’m in Ontario.. he hasn’t met my son yet! My son is a year and a half. I would invite my brother and his family to come from Ontario. i would invite my mom! I would invite all of my old roommates. We don’t see each other too often, but when we do we have a blast! i would invite my 2 sister in laws as a surprise to my husband 🙂 as he doesn’t get to see his sisters very often! I would invite my daughter,son-in-law & grandson. I subscribed and I would invite my In-laws over. Thanks for the chance. I would invite my grandchildren. I would invite my BFF/sister! I would invite my three sisters and few close friends to my holiday party. I’d invite my BFF’s and their families. I would invite new friends I made this year along with their families. I would invite my sister in law and my nieces and nephews. I’d invite a couple of friends whom we hadn’t seen in a while. I would invite my family! My kids, my sister-in-law and brother-in-law. I would invite Chase, Jessie, Jenna, Dave and Sira to my bash. My sister, whom I see too seldom. I would love to have my long time friend over who no longer lives near me. I would invite all my siblings! I would invite my sister and her family. I would invite family, friends, and coworkers to the party. I like a party with children invited for lots of family fun! I subscribed and I would invite my family. I would invite my three sons and their long-time girlfriends, whom I love! I’d invite my kids, parents, siblings, nieces & nephews. We’d have a great time! I would invite all of my children and grandchildren! I would invite my mum, who is always up for a fun get-together! Plus, I know that she is much more crafty than I, so I could use the assistance! I would invite our adult kids for the get-together.